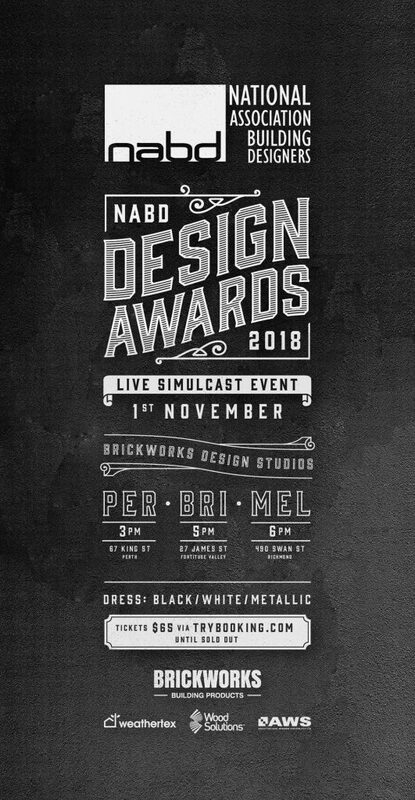 Bookings are now open for the 2018 NABD Awards, which will be held at a live simulcast event at Brickworks in Melbourne, Brisbane, and Perth on Thursday, 1 November 2018. We urge Members to attend and support your peers in this year’s NABD Awards. The Melbourne event, which will be hosted by BDAV Vice-President, Dominique Hunter, will commence at 6pm, at Brickworks, 490 Swan Street, Richmond. Tickets, which cost $65.00 per person, can be booked by clicking on the below link. Places are limited, so book quickly to secure your spot.